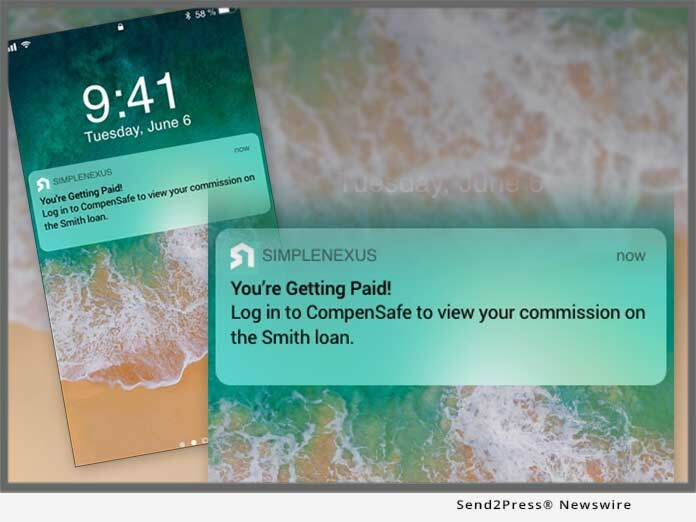 MACON, Ga., Jan 31, 2019 (SEND2PRESS NEWSWIRE) — LBA Ware(TM), provider of the leading automated compensation and sales performance management platform for mortgage lenders, today announced that it has completed a partial integration of its compensation platform CompenSafe(TM) with SimpleNexus’s enterprise digital mortgage solution. As a result, LOs will be able to receive real-time push notifications on calculated loan commissions directly through the SimpleNexus app. SimpleNexus, LLC is a digital mortgage solution provider, enabling lenders to originate and process loans from anywhere. The platform connects loan officers to their borrowers and realtors to easily communicate and exchange data in a single location throughout the entire loan life cycle. Loan officers can manage their loan pipeline, order credit, run pricing and send pre-approvals – all on the go. Loan officers can easily share the app with borrowers and realtors, giving them the modern mortgage tools they want and need.